Not the photo the Standard-Freeholder used, of a turbine alone in a field. 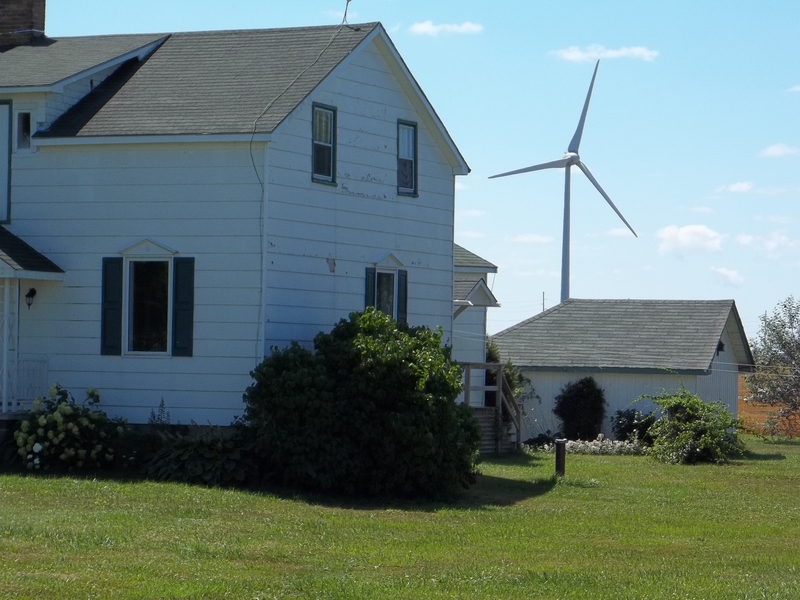 THIS is reality: a house and turbine near KIncardine, Ont. U.S.-based Invenergy is trying to persuade South Dundas to reverse its unwilling host resolution and put its stamp of approval on a proposal for more wind turbines for the area. South Dundas remains a magnet for wind power developers, despite an earlier proclamation the municipality is “not a willing host” for the controversial turbines. Just on the heels of a presentation made by the township’s only resident turbine developer, EDP Renewables, a second firm wants in on the action. South Dundas council heard last Tuesday from James Murphy and Ryan Ralph, who were representing Invenergy, reputed to be the continent’s sixth-largest green energy entity. Invenergy is proposing its Nine Mile Project, which would be considerably more ambitious the current South Branch project that is now operating in the Brinston area. It would also spill into North Dundas. If developed, Nine Mile would produce between 50-90 megawatts/hr. South Branch delivers 30 megawatts, but EDP is hoping to expand its operations in the township. Invenergy needs council’s blessing in order to arm itself with a best-case argument to get provincial approval as it competes with some 40 other companies. One of the requirements that South Dundas wants projects to satisfy is to show there is a demand for more electricity. 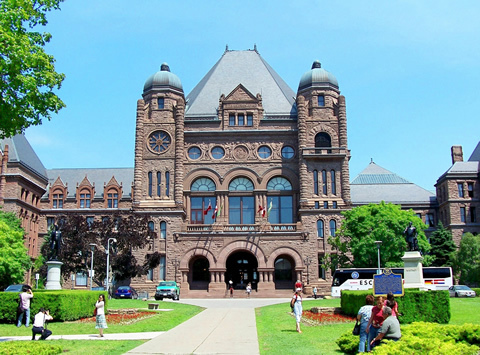 Invenergy has indicated by 2019, more energy will need to be produced in Ontario, reversing a current trend of selling power at loss to other jurisdictions. Mayor Evonne Delegarde said the new council welcomes new presentations in order to analyze their individual worth. 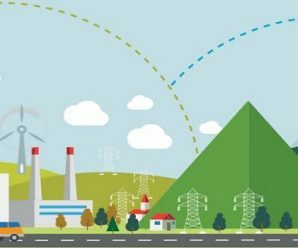 One of the social spinoffs for hosting a turbine project is the community donations the township receives annually – $1,000 for every megawatt produced, so Nine Mile would provide $50,000 to $90,000 per year for 20 years. As for her opinion, the mayor said the community investment would not be a factor in view of whether to accept the proposal. Several property owners have already signed up to receive $500,000 in lease payments if the project goes ahead. NOTE: Ottawa Wind Concerns has learned that a community group opposed to the wind power project may be forming in North Stormont–we will keep you informed. Too late for a lot of people, this was the notice of last night’s EDP Renewables Open House in Crysler. We present it now for the description of the project area. EDP’s website has NO information on this project.